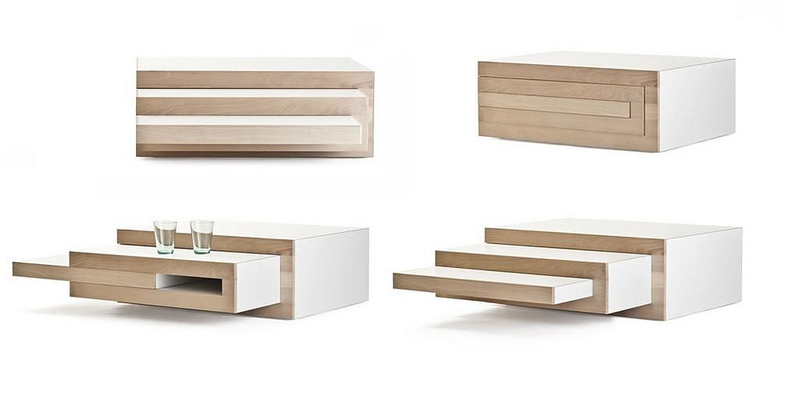 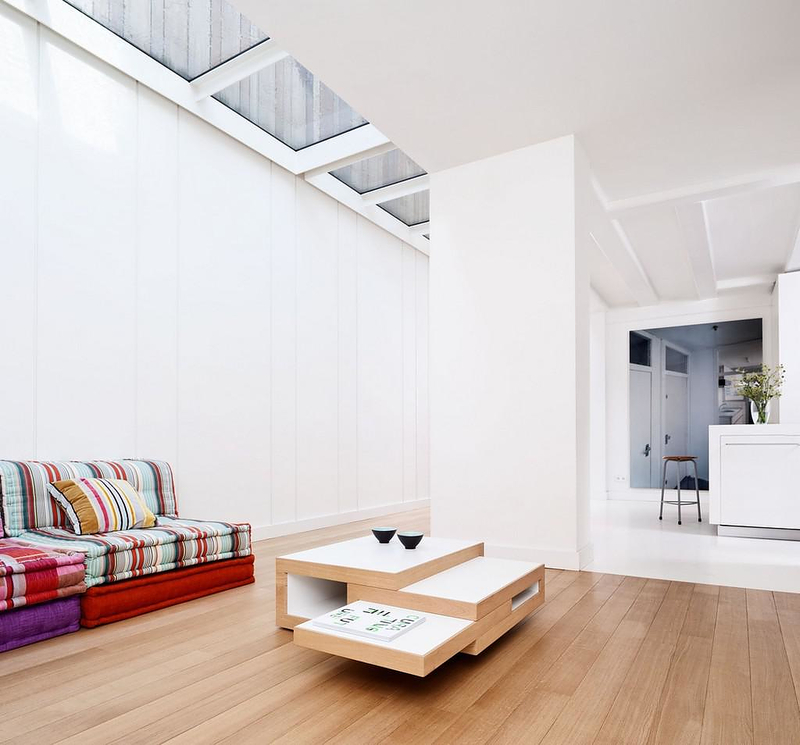 HomeBlogHome DecorREK Expandable Coffee table by Reinier de Jong. 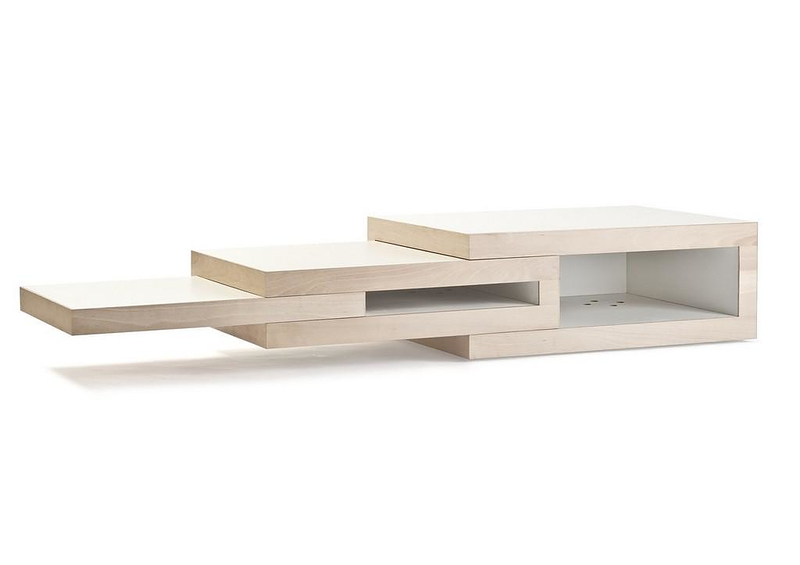 Reinier de Jong designs an adjustable table, the REK expandable coffee table to match his REK bookcase with the characteristic design. 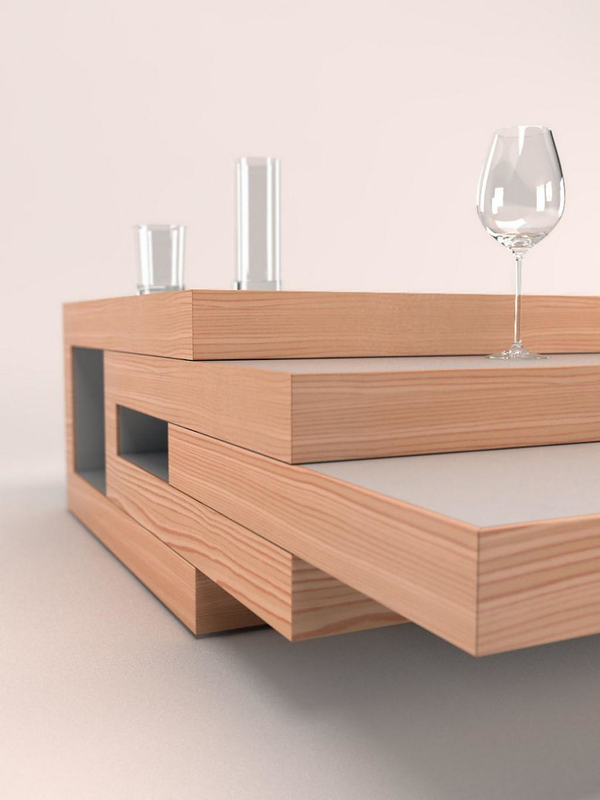 The REK expandable coffee table looks like a block of solid wood at first glance, yet its hidden layers can expand offering unmatched flexibility and additional usable space. 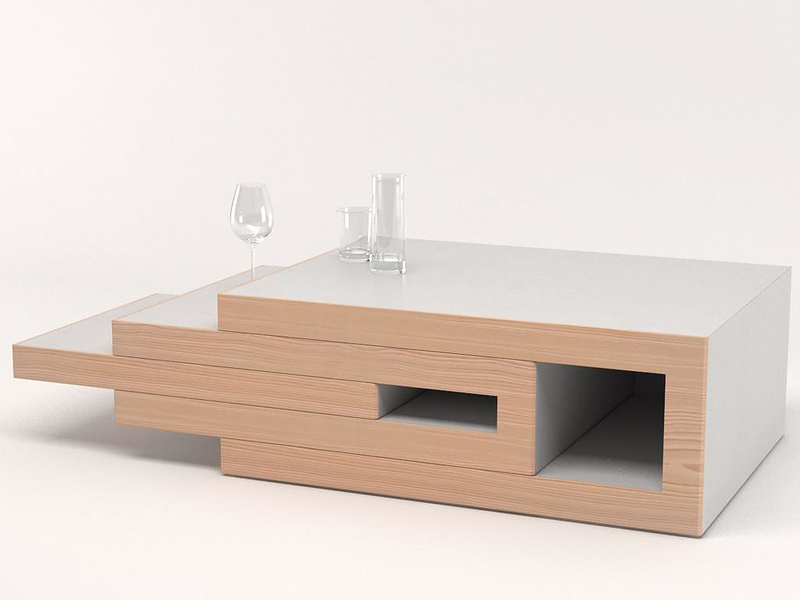 The extra surfaces while retracted into the REK coffee table’s main body fit perfectly into one unit. 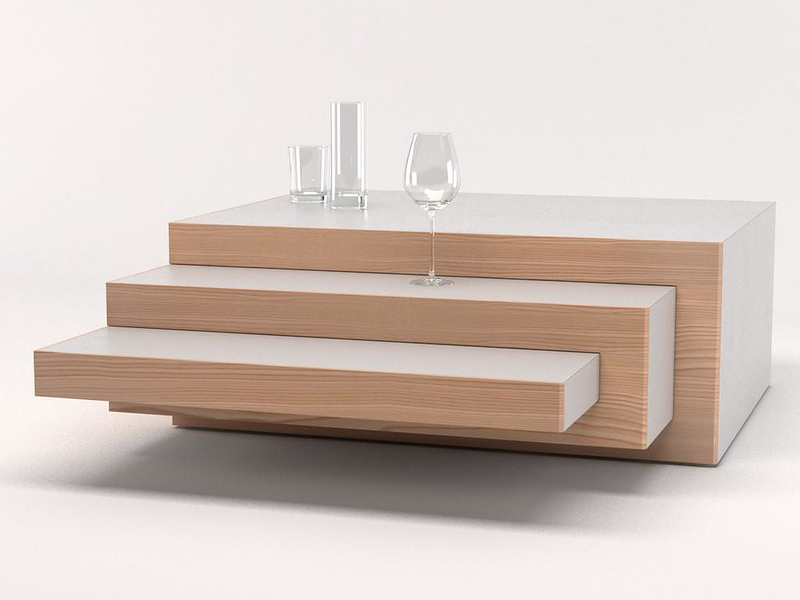 When extra table surface is necessary, they fold out and form an expandable coffee table that adjust and fits all needs. 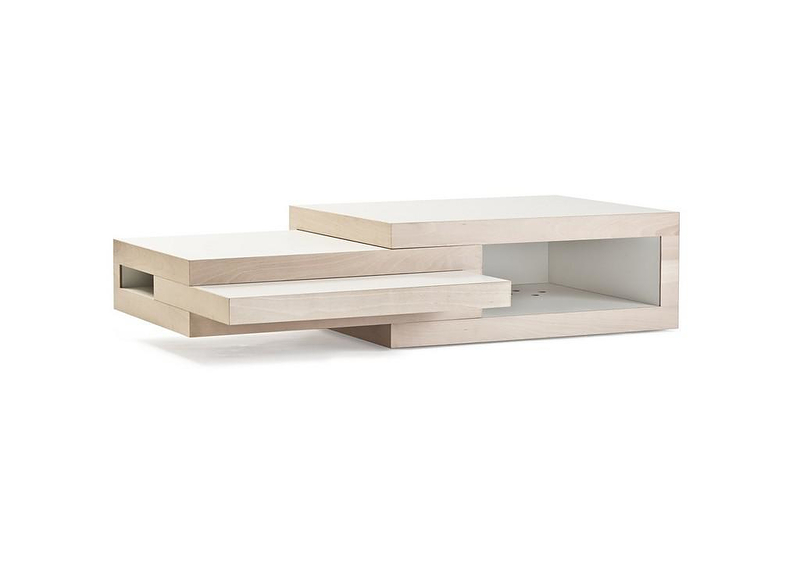 Concealed, built-in stops ensure you don’t pull a particular section out too far. 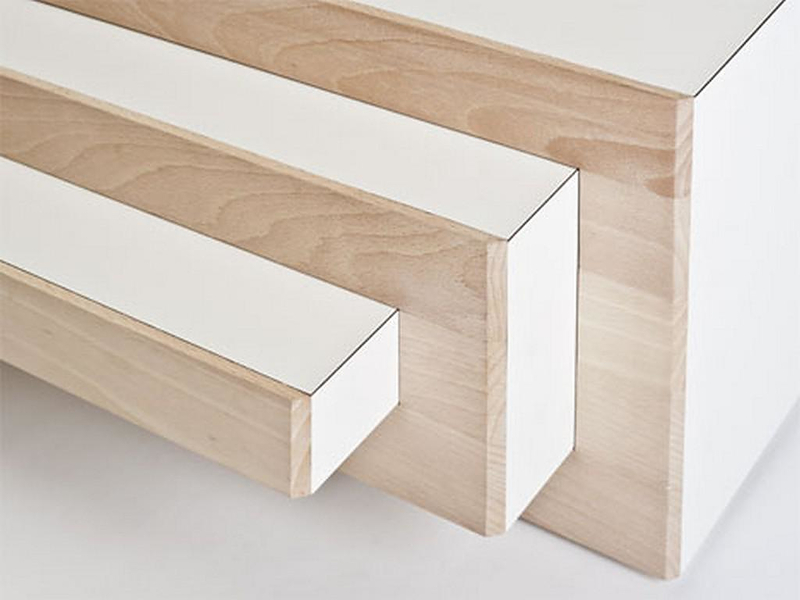 Of course, subtle bevels on the inner edges of each slider are predicted in order to protect one’s fingers. 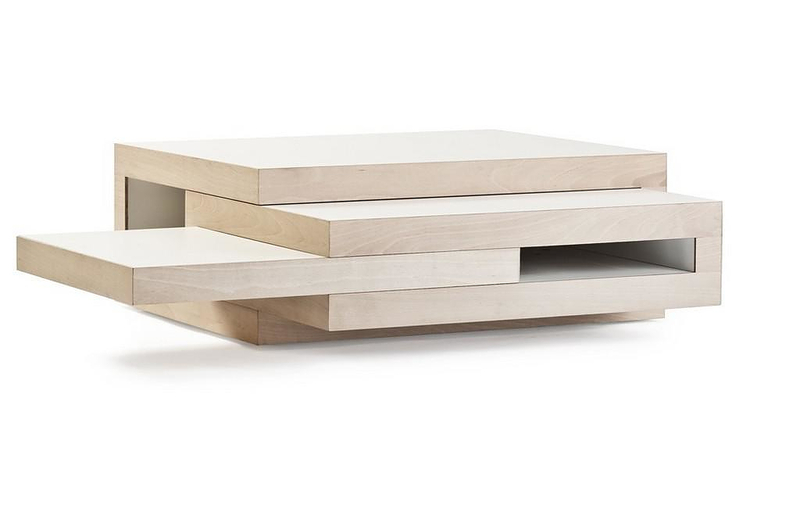 REK expandable coffee table comes in comes in oak, birch or beech, with laminate on particular surfaces and will stretch from a 60cm x 80cm box out to a 130cm x 170cm adjustable coffee table.